IDAPPS is on display at the Design4Health conference in Sheffield, 4–6 September 2018. ‘Towards the persuasive pharmacy’ shows the work of our 5 competition teams. 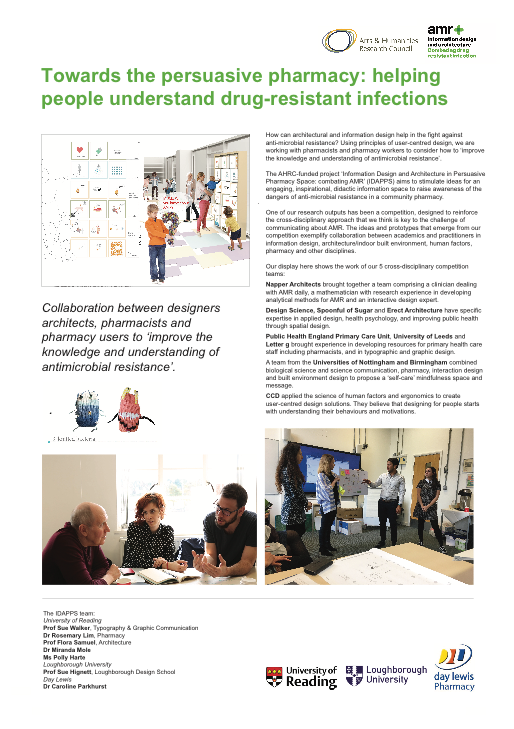 We show the ideas that emerged from the teams of designers, architects, behavioural scientists, and pharmacists. The IDAPPS team is also presenting a paper about the project: Design, architecture, pharmacy: making a difference to understanding anti-microbial resistance (AMR). 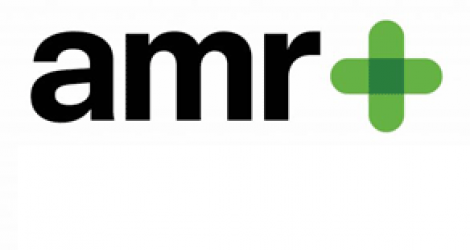 The paper introduces the working methods and outcomes of work to consider how we can use space within a pharmacy to encourage people to engage with information about AMR and self-care; and how we can design information so it is understood, whether on paper or in digital form. The research methods included review and analysis of archival material relevant to presenting information about drug-resistant infections; hierarchical task analysis; and co-design workshops with pharmacy workers and users. Information Design and Architecture in Persuasive Pharmacy Space: combating AMR [IDAPPS] is an AHRC-funded project.